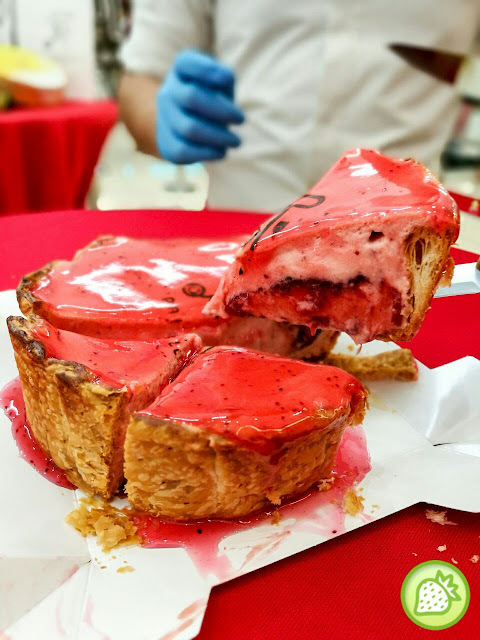 Welcoming the most talked about in town- Pablo CheeseCake is now opened in 1 Utama Shopping mall. 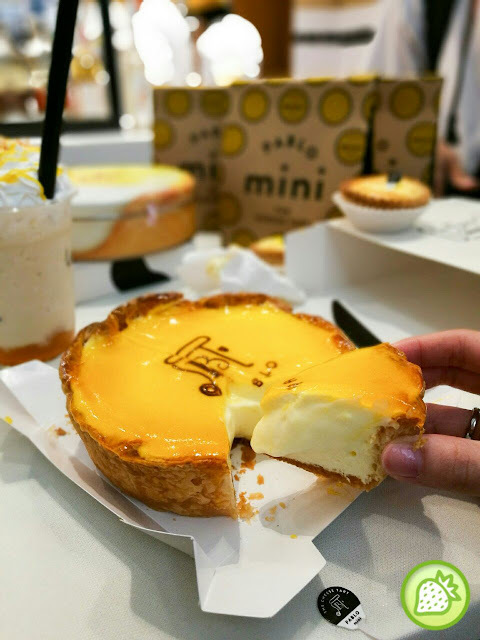 Well known for their signature freshly-baked cheese tarts–deliciously soft and creamy treats that taste like no other cheese tart you’ve had before. NO.130, 2nd Floor, Old Wing, One Utama Shopping Centre, 1, Lebuh Bandar Utama, 47800 Petaling Jaya, Selangor. One of my favorite products you can take home is their sabrel cheese cookies, filled with gouda cheese. The delicious cheesy delights is something you should enjoy. 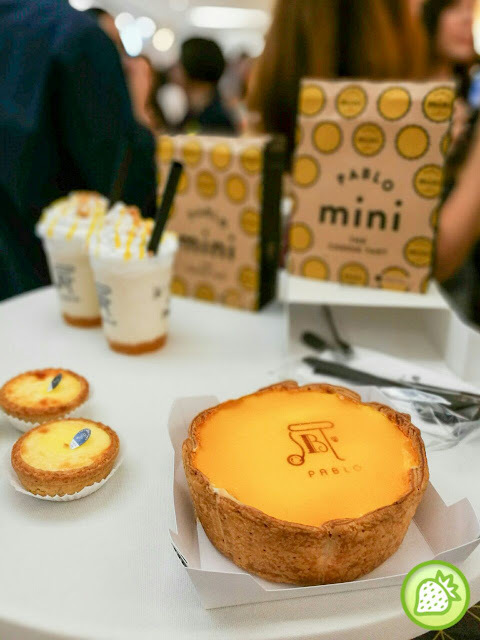 Fr those who love to hav a smaller version of the tarts, you can choose to enjoy the Pablo Fresh Baked Cheesetarts which comes simply smooth and velvety. Their desserts fare a good review too where they comes with a variety of flavours to choose for. 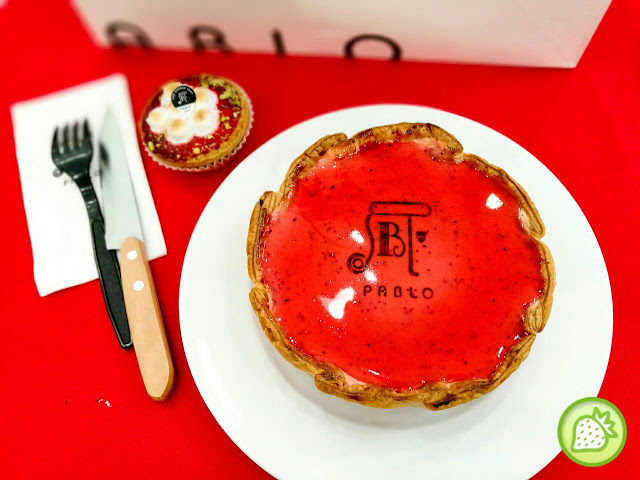 Opt for CLassic Cheese Tart Frute, Matcha with Shiratam Frute, Rich Mango Cheese Frute, Rich Berry Cheese Frute, and Special Chocolate Frute. Sweet delights to end your creamy tarts and we indeed wanted the second one for the desserts.